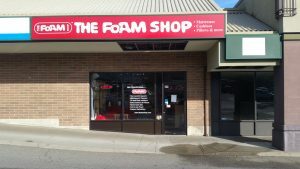 The Foam Shop Abbotsford is located on Essendene Ave, on the ‘five corners’ intersection of South Fraser Way, Essendene, and McCallum Road. Our biggest neighbor is the DollarTree – you can’t miss it! 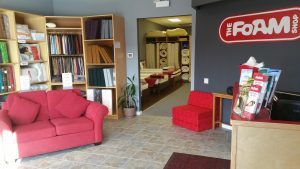 Our Abby store moved into this new location in 2010, but has been a part of the local community since 2005.